PROVIDING EXPERT DENTAL CARE TO SEVERAL GENERATIONS OF FAMILIES IN THE REGION. reconstructive work and cosmetic dentistry. Cosmetic Dentistry – Linden House, the leading Harrogate Dental Practice, also provides high quality cosmetic dentistry, which is certainly on the rise as more and more people realise the importance great teeth are as a way of improving their appearance, much as they would use cosmetic surgery or even a new hairstyle. Restorative Dentistry – the study, examination and treatment of diseases of the oral cavity, teeth and their supporting structures. We ensure our clients are provided with multifaceted care required to restore the mouth the the best possible health. Linden House has two excellent dental hygienists both of whom are professionally trained to treat gum disease and provide guidance on everything from simple scale and polishing to dietary advice or the creation of individual dental health care programmes. 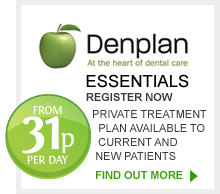 Denplan Essentials allows you to make regular affordable monthly payments to help you budget for dental treatment. All routine and preventive dental care is included in your monthly fee; check ups, x-rays, scaling and polishing or other hygiene treatments and preventive advice. I’ve been coming to Linden House Dental Practice for many, many years. I’m so happy with the service, that 3 generations of my family have their teeth looked after by Graham and his team. I’ve always found a visit to Linden House a pleasure, which isn’t always easy to say about a dental appointment!